This research project, funded by the Economic and Social Research Council of the UK from 2013 to 2015, was designed to achieve greater understanding of why the Basque and Catalan nationalist movements have experienced different relationships with the Spanish state over time, especially since the 1990s. The project was led by principal investigator Richard Gillespie, Chair of Politics at the University of Liverpool, and doctoral researcher Caroline Gray. Journal articles emerging from the project have appeared thus far in the International Journal of Iberian Studies, Territory, Politics, Governance and Nationalism and Ethnic Politics, the latter in the form of a special issue (21:1), entitled ‘Contesting Spain? The Dynamics of Nationalist Movements in Catalonia and the Basque Country’, to which the contributors were Richard Gillespie and Caroline Gray (editors), Kathryn Crameri, Anwen Elias, Ludger Mees and Diego Muro. Please visit the Publications page for more details. Research findings were also published in book form, with the special issue of Nationalism and Ethnic Politics subsequently published by Routledge and the doctoral thesis by Caroline Gray published by Ad Concordiam as Nationalist Politics and Regional Financing Systems in the Basque Country and Catalonia. The latter is available for free download on Ad Concordiam’s website here. An interview (in Spanish) with Caroline about her PhD work was also published by Ad Concordiam here. The project was informed by extensive fieldwork in both Catalonia and the Basque Country. Between them, Richard Gillespie and Caroline Gray carried out a total of more than one hundred interviews, mostly with senior members of political parties but also with government officials and civil society activists. Some were at the highest political levels (including four past or present regional presidents and various party leaders) while other interview participants were selected with a view to obtaining insights into specific events or processes or to ensure that regional diversity was captured in each place. Beyond individual research programmes, the project was designed to bring existing researchers in the subject area together (both early career and established researchers) and to promote critical comparison of the Basque and Catalan experiences of change in nationalist party agendas, as well as to analyse these in the Spanish and European contexts. Some very fruitful debates took place in the course of a couple of 2-day workshops on ‘Pro-Sovereignty Processes Compared: Catalonia and the Basque Country’, held at CIDOB in Barcelona in September 2014, and ‘Sovereignty Formulas between Autonomy and Independence: Towards a Reconfiguration of Europe?’ held at the University of Liverpool in May 2015. This networking activity prompted a number of new research collaborations between participants and, partly as a spin-off, led to a further workshop co-organised by Anwen Elias and Richard Gillespie on ‘Transforming Politics in Spain: Local, Regional and State-wide Perspectives’, in Liverpool in June 2016. The project built up from direct comparison of the Basque and Catalan sovereignty processes to engage with other European experiences (especially those of UK, Belgium and Italy) where nationalist parties have become dissatisfied with the status quo in the relationship between their homelands and member states of the European Union. This was identified from the start as a potentially rich area for further comparative political analysis in the future. Indeed the earliest event organised under the auspices of the project was a symposium on the prospects of statehood for Scotland and Catalonia, with interventions by Michael Keating and Andrew Dowling. Public interest in such comparisons was confirmed by invitations for both Richard Gillespie and Caroline Gray to give guest lectures at the University of the Basque Country and by a number of media contributions made by Caroline Gray particularly on comparisons with the Scotland. The relevance of the Scottish case for the future of Catalonia and the Basque Country was also the theme of an appearance by Richard Gillespie’s at a meeting of the Committee on Self-Government of the Basque Parliament, in Vitoria in April 2015. Finally, diffusion of the research findings also took place and reached postgraduate as well as academic audiences through panels organised at selected international conferences that took place during the course of the project. Papers were presented at the conference on ‘Pulling Together or Pulling Apart? 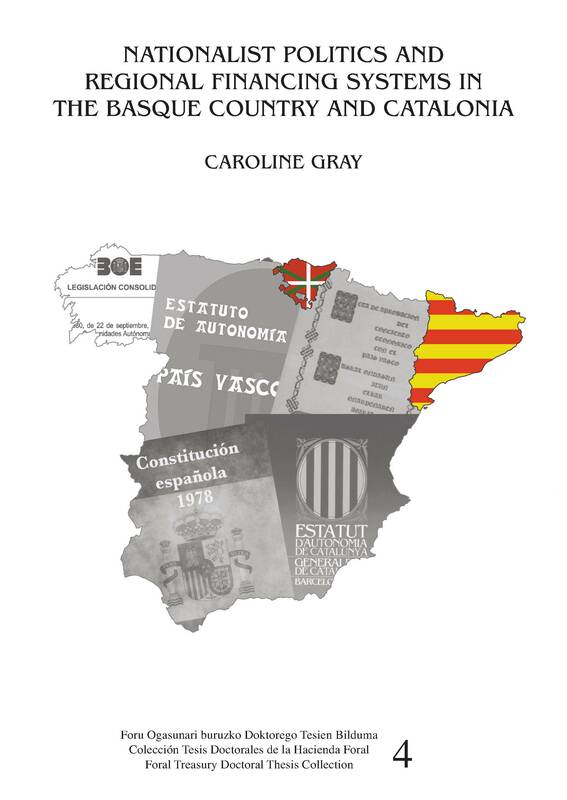 Identity and Nationhood – Spain, Europe, the West’ at Trinity College Dublin in June 2015, at the annual conference of the University Association for Contemporary European Studies held at Deusto University in Bilbao in September 2015 and at the International Political Science Association Conference on ‘Rethinking Territoriality: Between Independence and Interdependence’ held at the University of Edinburgh, also in September 2015.